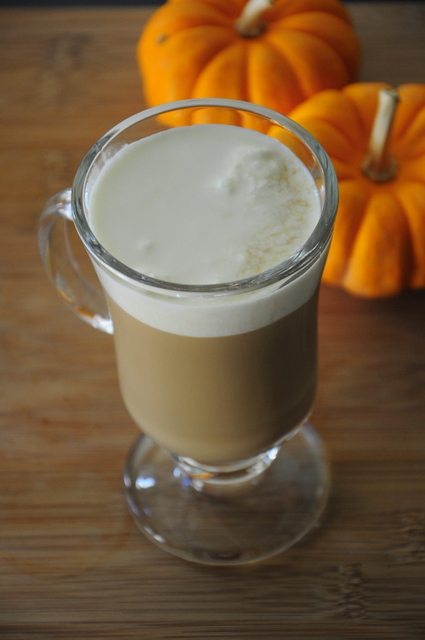 Pumpkin spice lattes are a drink that Starbucks fans look forward to all year long. The sweet and spicy lattes are just the thing to hit the spot on a chilly autumn morning – but when it comes to coffee in the evening, I prefer something that has a little more of a kick to it. 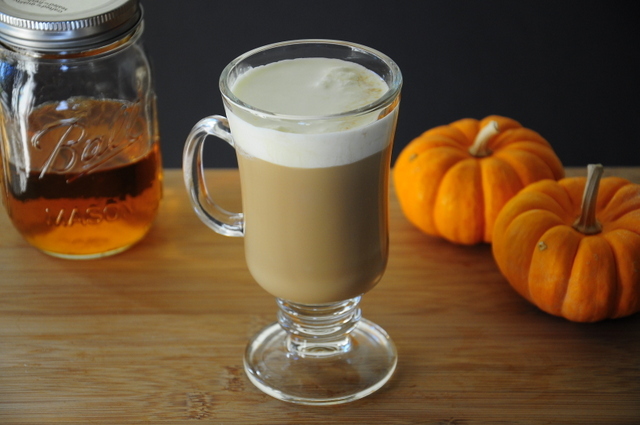 This Pumpkin Spiced Spiked Coffee is inspired by the pumpkin spice latte, but is made with my Pumpkin Pie Spice Infused Vodka, which gives it a spicy flavor that stands out in even the strongest coffee. Vodka isn’t usually used in coffee drinks because plain vodka just doesn’t pair well with the rich, earthy flavor of coffee – but it turns out that when that vodka is infused with cinnamon, ginger and cloves it starts to pair better with many other flavors. A splash of Bailey’s and a little brown sugar is also added to the drink to give it a little sweetness and cream to take the edge off both the coffee and the vodka. You could drink this without the cream topping, but getting a little of the cool cream when you take a sip of the hot coffee is a great contrast and really makes this drink feel like dessert. And that means you can serve it by itself or with a slice of pumpkin pie. Pour the sugar, vodka, and Bailey’s into a warm coffee. Pour in the hot coffee and stir until the sugar is dissolved. Top off with heavy whipping cream that has been whipped to soft peaks. i didn’t know there was pumpkin spice vodka. it sounds like a great winter drink!